We’re proud to announce today a slew of new improvements to CrunchBase, our directory for information about the tech startup ecosystem. Company and financial organization headquarters are now geocoded and locatable on an interactive map using the Google Maps API. Say you’re checking out Yelp and want to see just where the company is located and what other startups are nearby. You can click on the [map] link next to Yelp’s address and its headquarters will show up among its 50 closest neighbors, including Kongregate the building over and Slide just a few blocks away. Furthermore, you can now browse by City, State, Zip Code, or Country. Or choose an arbitrary location and map all of the results within a certain range (e.g., all the startups within 10 miles of Sydney, the 165 companies in Manhattan, or the VCs on Sand Hill Road). 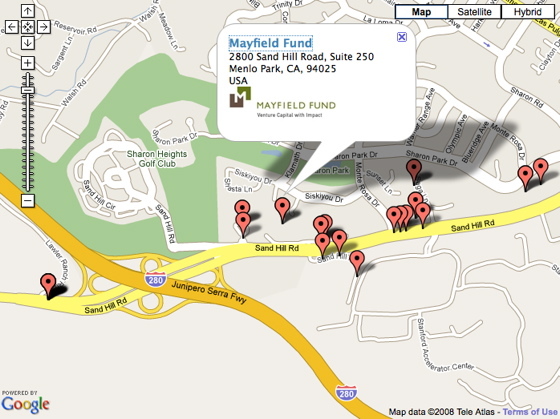 We are also now tracking multiple offices for some of the larger organizations (see Sequoia Capital). 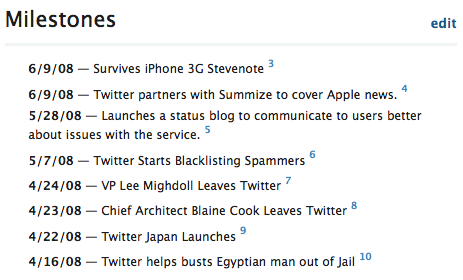 Our new advanced search capabilities really capitalize on CrunchBase’s structured wiki format. In addition to simple keyword search, users can now search companies, financial organizations, and people by indicating special criteria to which they want results to conform. 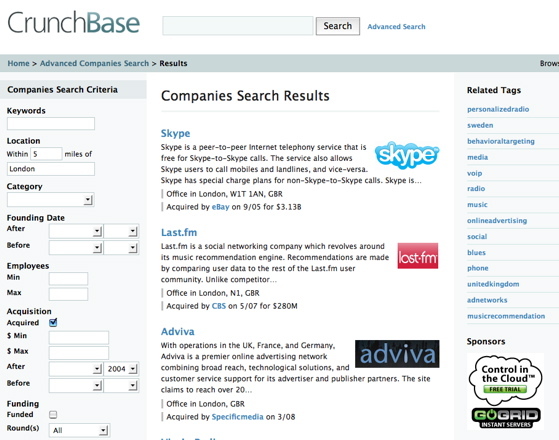 Now you can, for example, search for all companies founded after 2004 with at least $50 million in funding that have been featured on TechCrunch. What’s great about structured data is that it’s so easily aggregated. We have lists for all the funding rounds and acquisitions in CrunchBase, each of which is sortable in various ways. And with advanced search, you can drill down into specific results – even when geography comes into play. For example, you can make a query for all companies within 5 miles of London that have been acquired since 2004. Or all people under the age of 30 who’ve been a part of successfully acquired companies. We’ll continue to improve our search capabilities, so please leave any requests and suggestions in the comments. We’re now showing CrunchBoard job listings on company pages. You’ll now see, for example, that Digg is hiring. With this additional functionality, and our LinkedIn API integration, we hope CrunchBase will become an ever-more important research tool for job seekers. While these news items don’t always make TechCrunch’s front page, we wanted a place to highlight them in CrunchBase, so we created a lightweight data type called Milestones. It’s pretty simple: each milestone has a date, description, and source (if available somewhere on the net). And as before, CrunchBase is all about community participation. Not only do we add data to the system ourselves, but we encourage everyone else to contribute as well. Notice any missing or incorrect data? Just hit the “Edit This Page” button in the top-right of any profile page and submit your requisite changes. Companies, financial organizations, and people can also be added from the homepage. Expect to see more community features soon as work to give contributors a greater presence on the site.